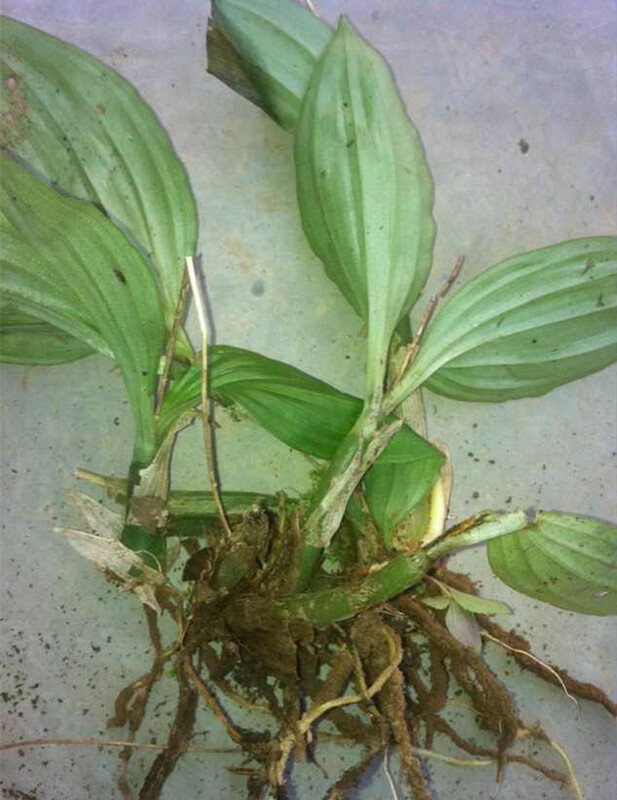 The drug is the fresh or dried whole herb of Liparis nervosa (Thunb.) Lindl. (Family Orchidaceae), growing in moist and shady places under forests, or in crevices, and distributed in Zhejiang, Jiangxi, Fujian, Taiwan, Hunan, Guangdong, Guangxi, Southwest China. Bitter, cool; lung and kidney meridians entered. Cool blood to stop bleeding, clear heat and remove toxicity. It is for the treatment of hemoptysis due to respiratory infection, hematemesis, hematochezia, metrorrhagia, cough with lung-heat, infantile convulsion, bleeding due to traumatic injury, traumatic injury, sores and snake bites. Decoct 9~15 g, or 30~60 g of the fresh, or pounded into powder for oral taking. Proper dosage is for external application, pounded for applying.